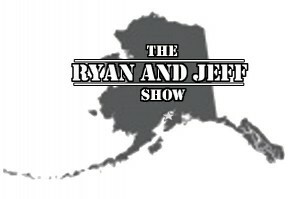 The Ryan and Jeff Show are a pair of IT admins from Anchorage Alaska who are committed to integration, automation, and the advancement of technology implementation and training. They are both full time admins for a nationwide enterprise (4000+ computers), in addition to being heavily involved in the educational community at the University of Alaska Anchorage Computer and Networking Technology Department, and consulting part time. The name “Ryan and Jeff Show” actually came from the users in their Enterprise. Ryan and Jeff are known for their positive demeanor and attitude and their technical ability to get way down in the weeds on problems. Users began calling in to “The Ryan and Jeff Show” to see if they could stump the IT guys. The name started out as more of a joke/musing about the quality of IT help, or lack of quality as it were. From there it has taken on a mind of its own, and we have embraced it (when in Rome right? ).